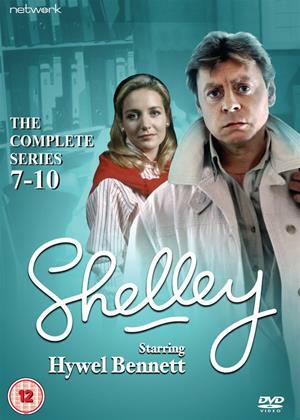 Returning from a near-five-year hiatus, Hywel Bennett stars once again as James Shelley, the erudite, philosophically inclined idler who elevated work-avoidance to an art form through its initial. massively popular six series run in the early 1980s. These further series (initially titled The Return of Shelley) see the graduate and 'freelance layabout' returning to the UK after a stint teaching English abroad. When he left, the social landscape was changing fast and now he's shocked to see by how much. Middle-aged slobs have been banned from their origins, Yuppiedom is the name of the new game, and the only thing that's real is estate; an unforgiving new world personified by Shelley's frighteningly energetic new landlords, Carol and Graham...Featuring guest appearances from James Grout, Sean Gilder, Stephen Tompkinson, Clive Swift and Alex Jennings among many others, this set contains every episode screened between 1988 and 1992, including the 1991 New Year special.